Bessie Smith was born April 15, 1894, in Chattanooga, Tennessee. Her father died shortly after Bessie was born, and her mother, who worked as a laundress to support her six children, died while Bessie was still a child. Her oldest sister, Viola, took over the burden of raising the family. To ease the family’s poverty, Bessie sang and danced for pennies on the streets of Chattanooga to the accompaniment of her brother Andrew’s guitar. Another brother, Clarence, left home and joined Moses Stokes’ traveling troupe of entertainers. When Clarence returned to Chattanooga he arranged for Bessie to audition for a place in the Stokes troupe. Despite her considerable vocal talent, she was hired as a dancer; the company already included the formidable singer Gertrude “Ma” Rainey. 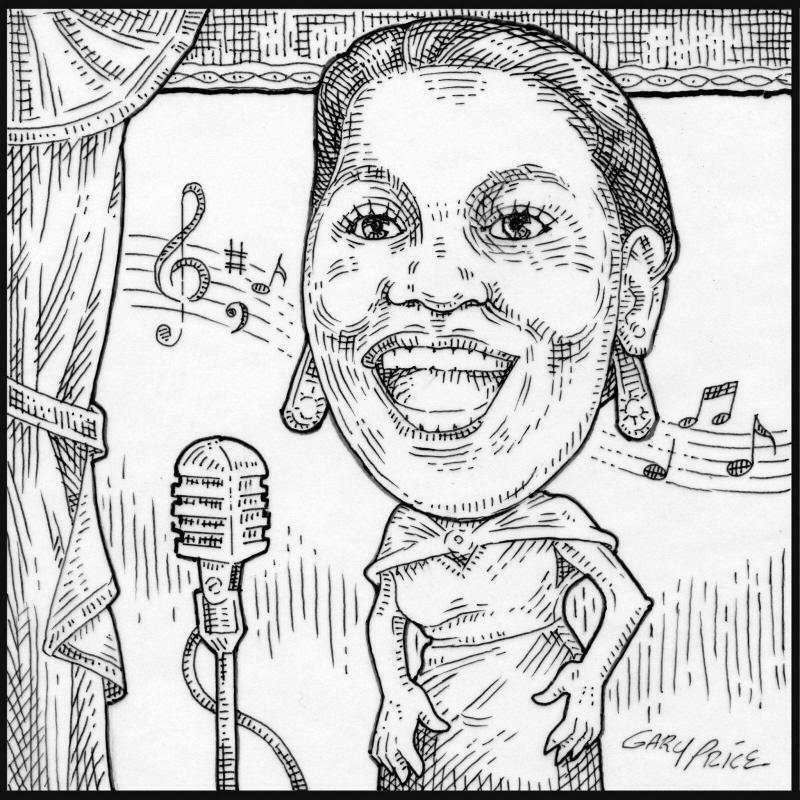 Rainey mentored Bessie, and helped her develop a stage presence commensurate with her vocal ability. In 1923 she was signed by Columbia, where she cut two sides: “Downhearted Blues” (written by Alberta Hunter and Lovie Austin), and Clarence Williams’ “Gulf Coast Blues.” The disc sold upwards of three-quarters of a million copies. Bessie’s contralto voice, far from being too rough, recorded beautifully on Columbia’s acoustic apparatus. With the advent of electrical recording in 1925, the power of her voice on record was even more effective. In those years she recorded with the finest jazz musicians available: Fletcher Henderson, Louis Armstrong, James P. Johnson, Tommy Ladnier, Coleman Hawkins, and many others. Despite singing about being “down and out,” Bessie Smith was successful enough by 1925 to buy a Pullman railway car for her troupe; her success continued into the 1930s, though somewhat diminished by the effects of the Depression. Bessie Smith died, aged 43, on September 26, 1937, following an automobile accident.